I adore appetizers. Bites, nibbles, finger foods… whatever you call them, appetizers are always a crowd-pleaser! You have to admit that nothing makes a party more festive than a great party cocktail and a beautifully presented spread of fancy little appetizers. 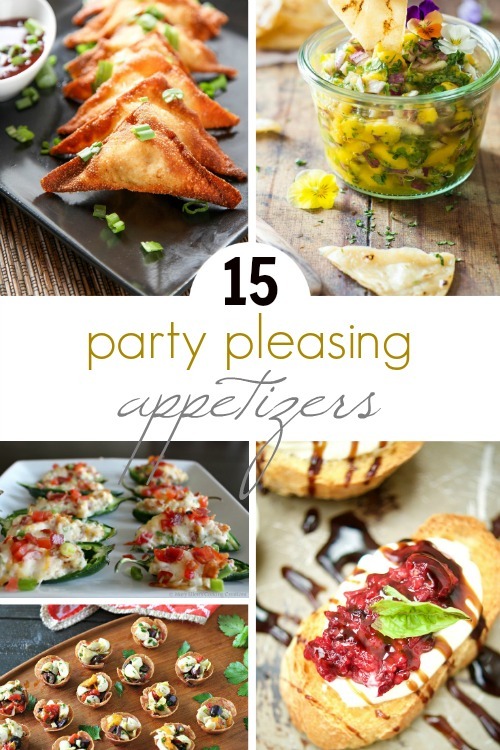 So whether you’re in charge of appetizers at the family Christmas, planning a swanky New Year’s soiree, or hosting a girl’s night… you’ll love these 15 party pleasing appetizers! 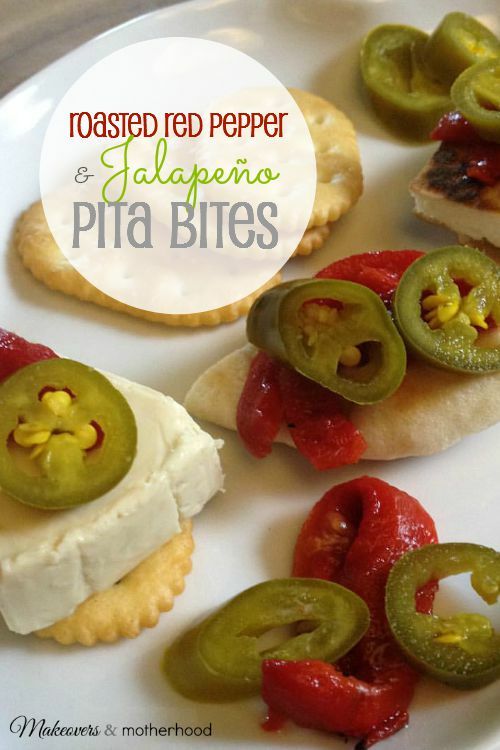 Roasted Red Pepper & Jalapeño Pita Bites will add a savory zip to your appetizer spread with little effort! 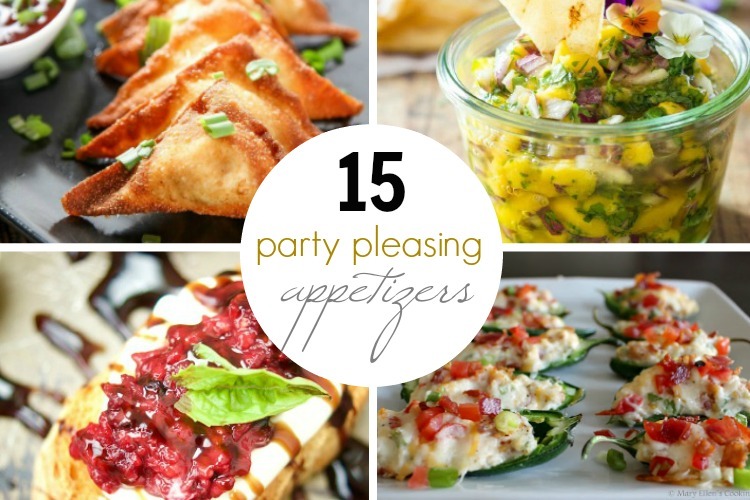 Hoping your party is put together elegantly & effortlessly and that your guests are wowed by these party pleasing appetizers!